Lisa Hobbs submitted this photo and caption. Here is a photo of my husband Dave enjoying the view of Tracy Ford Fjord, Alaska. 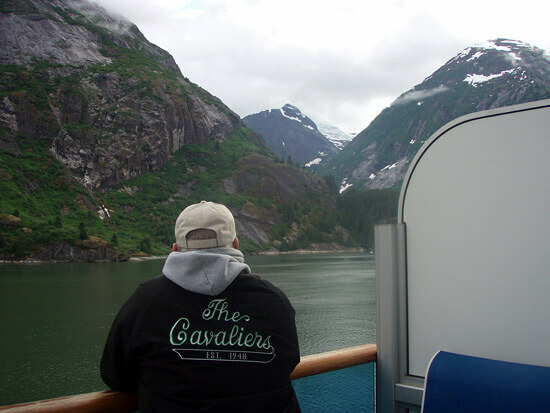 He is the equipment truck driver for the Cavaliers, and this was our get-away before he hit the road with the Cavies this summer.